One of the great joys of going on holiday is to be able to spoil yourself, and high on many holidaymakers agenda is to forget cooking and enjoy eating out. Visitors to Torrevieja will find hundreds of fantastic restaurants, tapas bars and takeaways to suit all tastes. From fancy Michelin Star restaurants to tiny hole in the wall tapas bars, the city has it all. 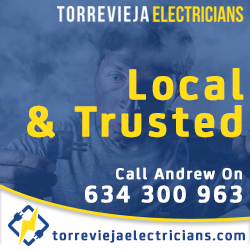 With visitors from all over Europe and the United Kingdom, Torrevieja has restaurants that cater to all nationalities and with its long standing history as a former fishing village, wonderfully fresh fish and seafood feature highly on most menus. Instead of sitting down to one large meal, try a visit to Euromania, a restaurant chain specialising in cheap and tasty tapas. Their extensive menu starts from just 1€ and doesn’t go much higher than 3€ depending on the type or size of tapa. There are also great value combo’s such as 2 tostadas and a cup of filter coffee for 1,80€. Unlike many of the small tapas bars that are found throughout the city that mainly serve traditional Spanish fare, Euromania’s menu includes a great range of tapas that appeal more to the tourist palate and go down a treat with the kids. The majority of these come in delightful little rolls, fresh from the oven with a small portion of crisps on the side. Euromania can be found on Calle Ramon Gallud next to Telepizza. Paseo Maritimo Juan Aparicio is the city’s popular beach front promenade that is lined with shops, bars and restaurants but surprisingly has very few tapas bars. El Faro is worth a mention though with a quaint little beach hut bar and tapas ranging from 1.50€ upwards. For the tastiest Calamari Romano in the city, forget the beach front restaurants where you will pay 10€ or more. Head for Avenida de las Habaneras, the main road through the city where the bus terminal is located. A 5 minute walk from the terminal towards Los Locos Beach, turn left on Calle Fragata and you will see Aroa bar where the deliciously fresh and tender calamari is just 2.50€ They also do great value steaks. There are literally hundreds of tapas bars in Torrevieja, and for more on these tasty little treats check out our article on the city’s Tapas Tour. Sunset Beach is a stylish Belgian restaurant with a large menu choice including fresh oysters, Canadian lobster, chef’s specials, menu of the day, A la carte menu and a selection of children’s meals. Their seafood platter is heavenly. Located on Av de los Marineros 17. 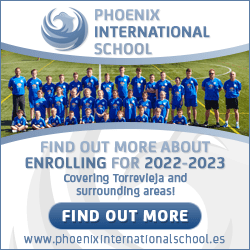 A firm favourite with the kids is Chinese food and Torrevieja has many such restaurants. Located in the neighbourhood of La Siesta on Calle Bizet 1, Restaurante Gran China will keep those little tummies happy with a great selection of classic favourites, chef’s specials and tasty seafood. Just a 5 minute drive from Torrevieja, in the area of Punta Prima is the picturesque Nautilus Restaurant. Enjoying a privileged position right on the beach with large terraces looking out to sea, Nautilus has been established since 1975 and has a dedicated clientele who come back time and again for their fantastic cuisine. Their menu is vast and includes a variety of mouthwatering Paella dishes, great steaks and fresh fish. Many of Torrevieja’s restaurants stay open until midnight and for excellent seafood served until late, try El Pescador located on Calle Torrevejenses Ausentes 5. 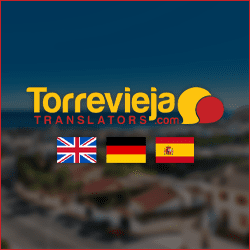 Torrevieja has an amazing choice of restaurants and takeaways serving both local and international cuisine. There are a number of pizza restaurants and popular all you can eat Chinese buffets. McDonald’s, Burger King, Subway, Domino’s and KFC can all be found in the city. Domino’s is located next to the great value Euromania on Calle Ramon Gallud, and a Burger King, Subway, KFC and McDonald’s are all close to the Habaneras Shopping Centre on Av. Rosa Mazón Valero. Just behind Burger King on the beach front promenade there is a choice of 4 Kebab Shops, perfect after a night on the town. If you have had a really late night and all the restaurants and takeaways are closed, the city has a number of 24hr Mini-Marts where you can find a range of cold drinks, baguettes, cold meats, cheese, pickles, tinned goods and microwave meals.